Sometimes it seems like every year we confront a new, more insidious type of flu. Of course, it’s not all bad. We get a day off work and can binge watch all our favorite stuff. It sounds pretty great when you don’t think about that obnoxious stuffy nose and cough plus a fever on the side. We’ve got the tips you need to survive this cold and flu season. Go get that flu shot! Each year some variation of three basic types of influenza will cause trouble. The flu vaccine is modified each year to protect us from the one strain that is expected to be the worst. After getting a flu shot, it’s common to experience a little discomfort for a short period. However, you will be spared from getting the full-blown symptoms of the terrible flu. Washing your hands will help keep those pesky germs away. This may sound like a simple step, but it can be easy to slack on if you’re not careful. Use soap and scrub for a minimum of 20 seconds. Scrub like a surgeon would before a surgery. Don’t forget the spots between your fingers, backs of your hands and under fingernails too. Wash your hands multiple times a day! Regular exercise will keep your body operating in optimal form. Regular exercise helps keep your immune system strong and a healthy body equals a healthy mind too. Exercise will help you recover from cold and flu faster and make you feel better all year long. Did we mention hand washing? It’s worth mentioning multiple times. This is your first, last and best way to keep away from germs especially if you work in a large office or use public transportation. You can’t control everyone else’s behavior but you can control your own. Germs constantly stick to surfaces like countertops, desks, doorknobs and even your floors. It’s important to consistently clean the things you use the most. Clean floors weekly. 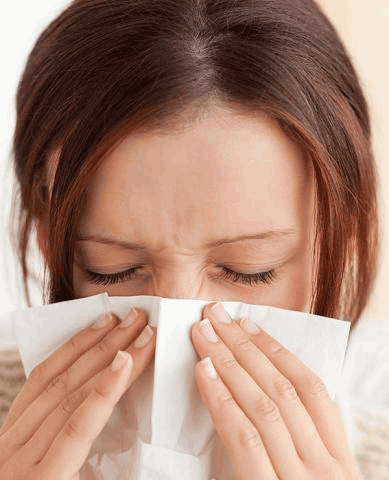 For a deep, long-lasting cleaning, consider using a professional carpet cleaning service like Chem-Dry before flu season begins and afterward too. Chem-Dry’s Hot Carbonating Extraction process has been proven to remove 89% of airborne bacteria and will remove those hidden germs, dirt and allergens in your carpets. From everyone at Van’s Chem-Dry, we hope these tips will help keep you and your family safe and healthy this cold & flu season.